An internationally recognized day on 2 April every year to raise awareness about people with Autism Spectrum Disorder. Learn more and read stories about Autism. Spencer and his family agree: sports has made all the difference in his life. He says it helps him focus. His mom says it's changed his life drastically. When she adopted him as an infant, she didn't know he had autism. When his diagnosis became clearer, she didn't really know what would help. Then she heard about thereapeutic horseback riding. Nearly two decades later, Spencer loves riding since he was a toddler, because it helped him immensely. 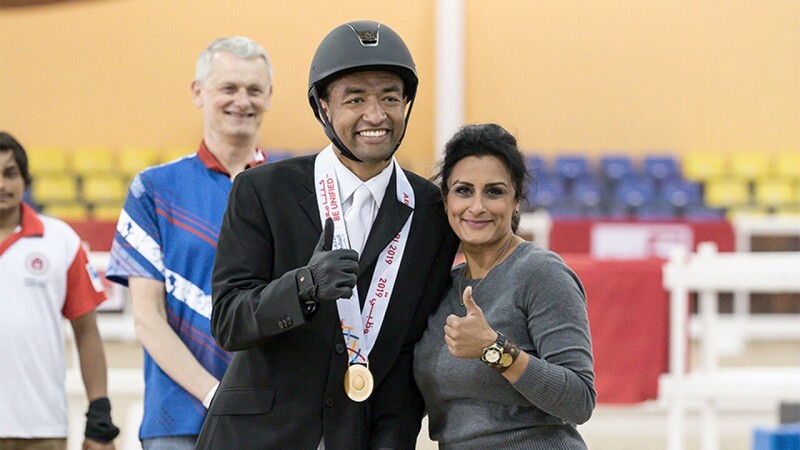 He's 22 now—and just swept gold in every equestrian category at the 2019 World Games in Abu Dhabi, including dressage, English working trails, and English equitation. Back home in Texas, Spencer volunteers 20 to 30 hours a week with a local equestrian program, helping provide a positive place for people with disabilities. The goal is to become more confident and independent, while also mastering top competitive equestrian skills. It worked for Spencer—and he is happy to pass those lessons on to others. Read his full story. Angel walks up to a barbell, she isn't just picking up a heavy weight. She is working to lift herself above years of struggle. Through sport, she has developed the talent and confidence to become a champion on the world stage -- most recently at the 2019 Special Olympics World Games in Abu Dhabi. The 34-year-old athlete, who has autism, ADHD and bipolar disorder, just brought home four gold medals and won her weight division in female powerlifting. Among her feats: deadlifting 254 pounds. Angel was abandoned at birth by a drug-addicted mother and spent the first eight years of her life in the foster system. Every day, Angel proves that hard work pays off; she also shows that strength and spirit can help overcome obstacles. Through sports, she has triumphed. Angel has only been powerlifting for the four years, but she has already beaten the New York State female powerlifting records, won her weight class at the 2018 Special Olympics USA Games. Sports has made a huge difference in her life. Before powerlifting, one of her trainers says Angel was "nervous, untrusting, uncertain." Now? "She's ambitious, hardworking and happy." Watch her story. Many people with autism prefer quiet places without a lot of people or unexpected noises. Not Jon Harmon. He loves the clanging, crashing, cheering sounds in a massive indoor bowling alley. He says bowling has actually helped his intolerance of environmental stimulus he can't control; this includes his tolerance of people. Jon first picked up a bowling ball at the age of 9. Now 37, he has two perfect games on record—or ten if you count practice! Jon says he lives for those moments when it all comes together: you get your strike in the first frame—and keep going: "It's the best feeling ever!" (NOTE: In recent years, Jon has been putting his people skills to work as a bagger at the local Albertson's grocery store). The pool used to be the only place Jonny could handle: he’d float with his ears underwater to drown out all the world’s noises. The hyper-sensitivity that came with autism made things tough—at first. Then he learned to channel his energies into competitive swimming; seriously competitive swimming. Since his first meet in the summer of 2016, Jonny has reportedly setting US speed records—including two last summer in the 100-meter individual medley and 100-meter freestyle at USA Games. 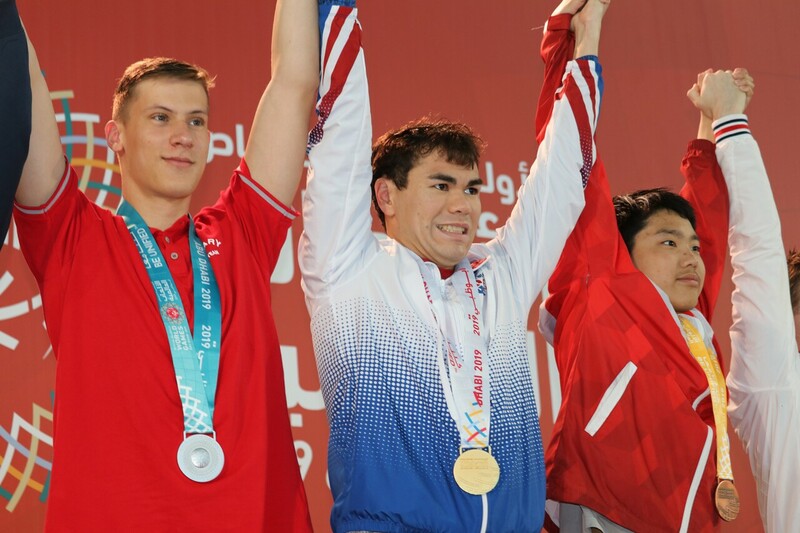 He's just back from the 2019 World Games in Abu Dhabi, where he won gold in the 200m freestyle and bronze in the 100m freestyle and 100m individual medley! Read Jonny's full story. 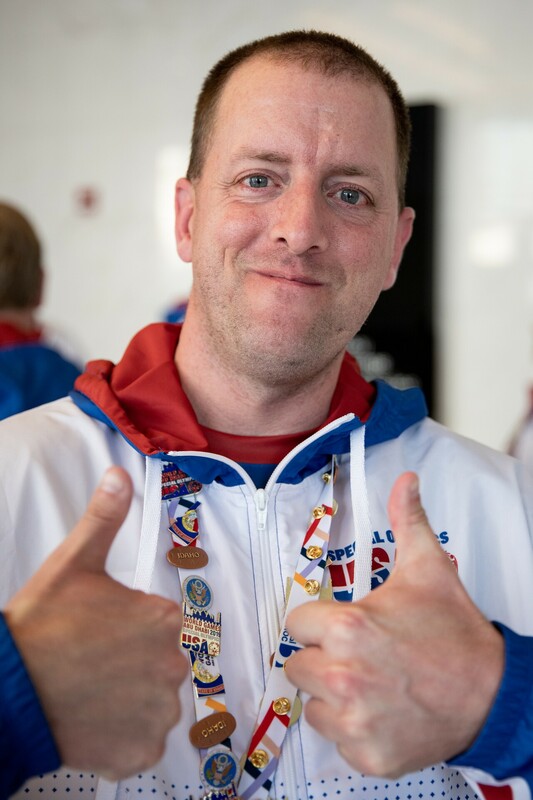 In 2018, Scott won his third-straight Special Olympics USA Games gold -- winning by 14 shots after an unexpectedly slow start. Even he admitted that his comeback was "better than awesome." When he's not golfing, Scott, who has autism, works on his father’s tree farm during the week. He still finds plenty of time to play golf. He says the sport has been good for him and helps him focus. Scott has also won gold in Unified Sports team play. 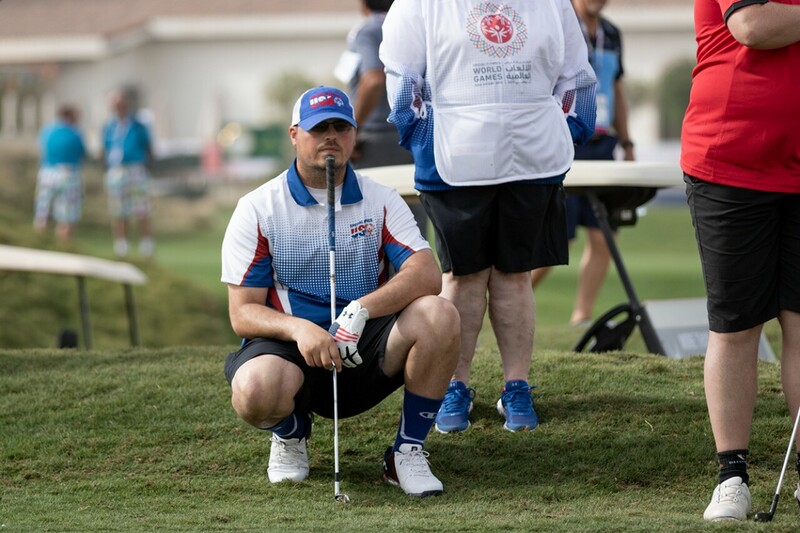 At the last World Summer Games in Los Angeles, he posted a total score of 276, or 12 under par, a new personal best and reportedly the lowest by any Special Olympics golfer at a World Games event.